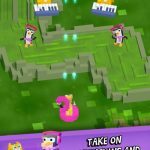 Nasty Goats is a new iOS title from Nickelodeon that, as the name suggests, is an official licensed product based on the Nickelodeon TV show Game Shakers. According to the game’s story, there’s a bunch of Nasty Goats on the loose, having escaped from their farm, and on a garbage-eating adventure. Your goal is to help them eat as much junk as possible before they’re caught by the farmer and sent back to their “boring” home down on the farm. You have six goats to collect, five different locations and one hidden area, 13 power-ups, and 50 wearable items for customization purposes. 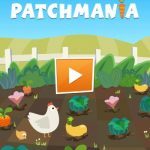 Although, the game seems to play out easily enough – you use two fingers to control the two goats, as they eat as much junk as possible – it eventually gets a bit challenging to deal with those farmers. If you’re having trouble making the most out of your time escaped from the farm, we suggest you check out this list of Nasty Goats cheats, tips and tricks. 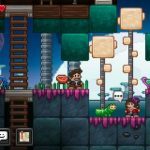 It sounds simple enough – you want to use the ropes to collect most types of junk you can find. Take note, however, that we said “most types,” not “any type.” Specifically, you have to avoid the solid-colored spikes that the goats may encounter. These spikes slow down the goats, and make it easier for the farmer to catch them. It may take some time to perfect this, but what you would want to do here is to tap in such a way that the goats run around the spikes. Use this same technique when dealing with the pits, which the goats can potentially fall into if you’re not careful. If you wish, you can try tapping on your screen with other fingers, and not just your thumbs. Specifically, you can try placing your thumbs one behind the other, which really helps in tight situations. Another thing you can practice is how to move one finger to the opposite side of your other finger, so you can change how your goats are facing. How do you earn coins in Nasty Goats? Well, it’s as simple as playing the game. 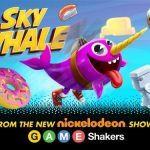 Nickelodeon did not include any premium in-app purchases that require real money, such as coin packages, so what you want to do is to keep playing the game for coins. And no, there aren’t any ad videos either that could expedite your coin-collection. 4. What Do The New Goats Do? While you can buy new goats to use in the game, as well as accessories to customize them, it’s not always advisable that you do so, unless you really love customization and want to collect all of the available goats. After all, it’s expressly stated that the accessories are there for customization. Likewise, the goats do not play any differently from one another, but merely look different. Instead of focusing your expenditures on new goats and accessories, you might want to spend your hard-earned currency on new levels. As of this writing, the game’s levels include Dino World, Arctic World, The Wasteland, The Moon, and Tokyo. Unlike the different goats and accessories, which have no bearing on gameplay, the different levels do; the layout is different and so are the obstacles. Hope you’ve enjoyed our list of tips and tricks for Nickoledon’s new mobile title, Nasty Goats. Stay tuned, as we will update this guide, whenever we come up with some new hints!